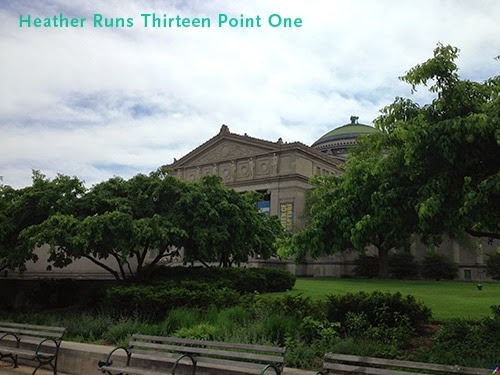 The 13.1 Chicago Half Marathon was held on Saturday, June 7 with a 7am start at South Shore Cultural Center. 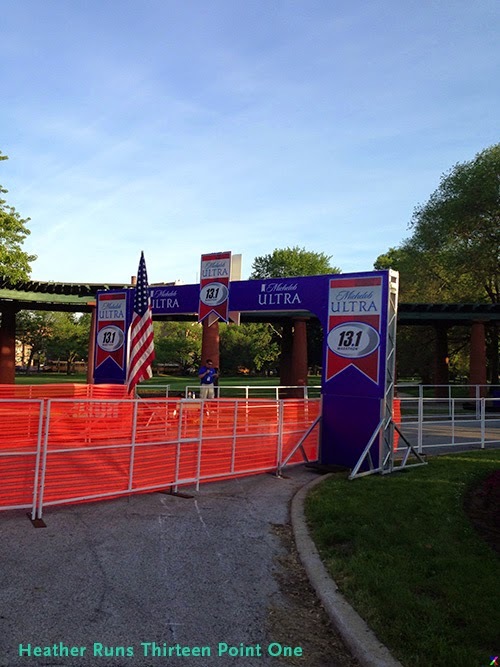 Packet pickup was at Fleet Feet Chicago Old Town on Thursday and Friday from 10am–8pm. If you were unable to pickup at these times, you could pay $25 for will call pickup on the day of the race. Fleet Feet isn't too difficult for me to get to after work, so I went on Thursday night. It was easy peasy. The dry-tech shirts were pretty nice. I always have trouble with sizing – some times a medium is perfect, other times it's too snug for my liking. Luckily, I learned from last year that I preferred this races shirt in large, and remembered to register for the same this year. It's nothing too special, but if it's a dry-tech shirt and it fits, I wear them for training regardless of what they look like. I parked my car at the Museum of Science and Industry, which I had selected as my choice for shuttles when registering (the other option was the Millennium Garages). It cost $20 (despite the website claiming it was $16) that you could pay while leaving at the machines or at the booth when exiting in your car – that's what I did and there was a person working. We hopped on a school bus (which they call shuttles) at the front entrance, waited about 5–10 minutes until it was full, and then the driver took us to the Cultural Center. The buses ran from 5–6am, and it was maybe a 10 minute drive. These buses then brought you back after the race (I think we took a bus around 11:15, after hanging around the after party). 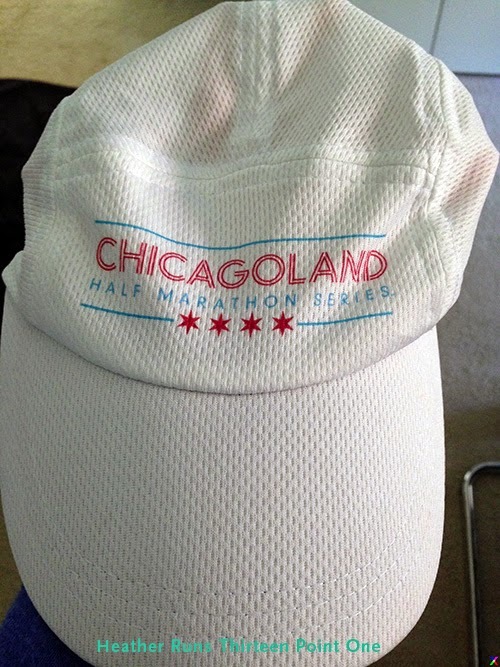 I was one of the first 200 people to register for next year's Chicago Spring Half Marathon, and therefore was able to pick up my hat at the Lifetime booth at this race. I was expecting just a normal hat, but it was an athletic one – the nice, dry-tech material. Hurray! After claiming my hat, I headed to the port-o-lets. There were lines, but they weren't too horrible. I waited maybe 10 minutes? 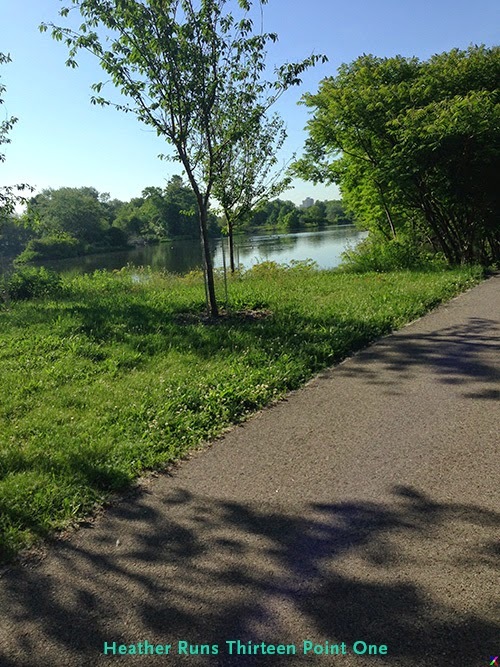 It was in the mid-60s and sunny when we started, and low 70s at the finish, with humidity around 66%. 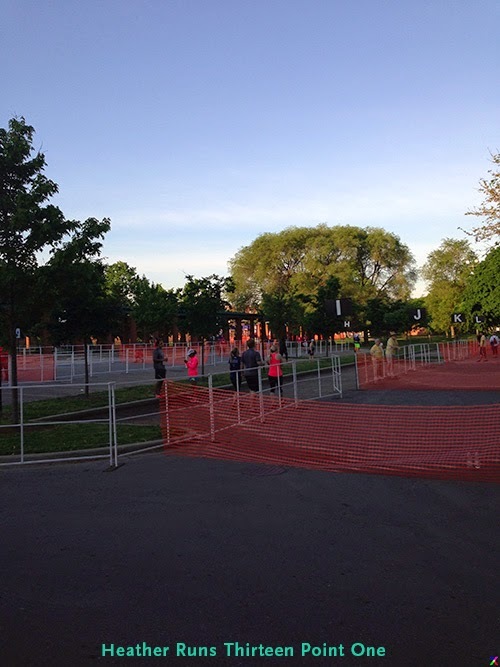 Corrals were let go about every 2–3 minutes, and I crossed the start line at 7:30am. 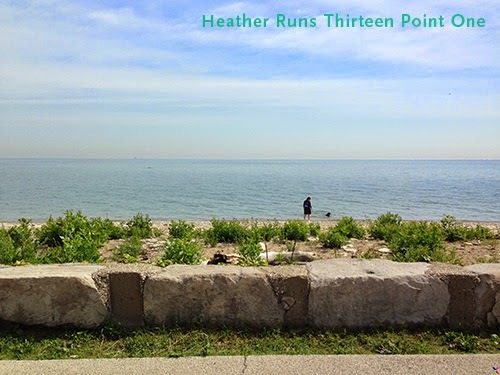 I ran with my mom, and we did 30 seconds of running/2 minutes walking as our intervals. There was a maximum 16-minute mile pace, as seems pretty normal for most races these days (and I'm totally cool with). 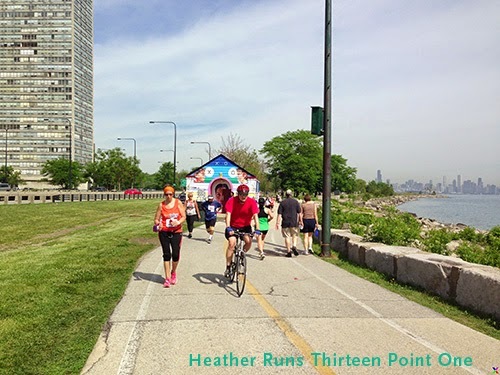 I really like this course, because it goes off the Lakefront Path for a while and through Jackson Park, so it's a little bit different scenery for a while (compared to a lot of the Lakefront Path races – usually see and pass the same things). 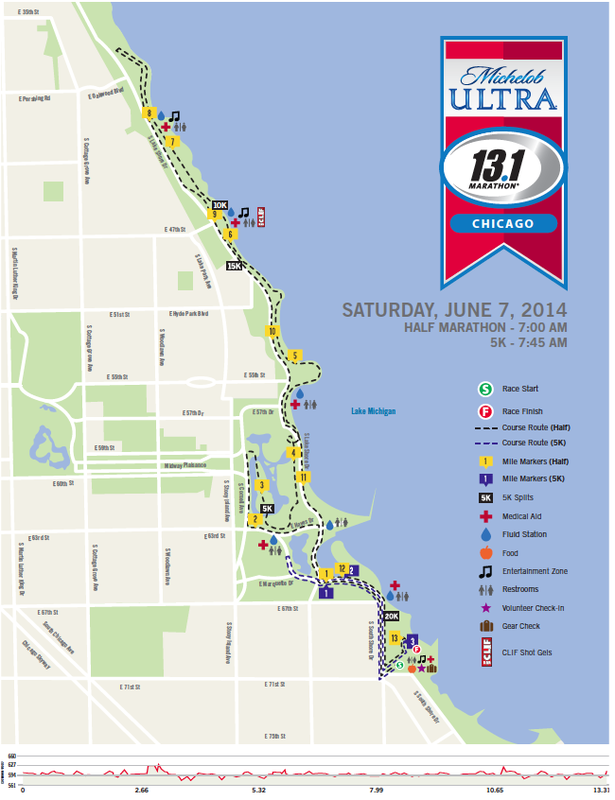 Parts of the course (mostly at the beginning and within the first 3 miles) are on the street, and then the remainder is on a path. 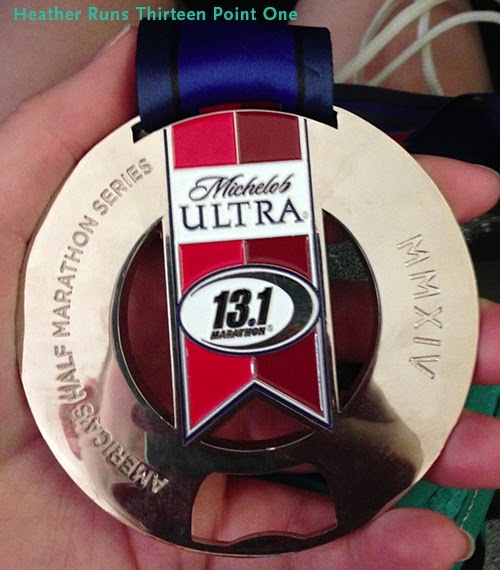 It was really nice staying with my mom for the race – I have someone to chat with, and the miles just slip on by. 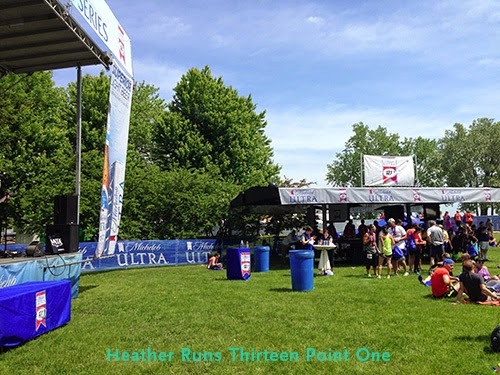 This race had plenty of course support with water/Gatorade stations (maybe 8? ), and one stop with Clif Shot Gels (I bring my own Shot Bloks and took one every 3 miles). 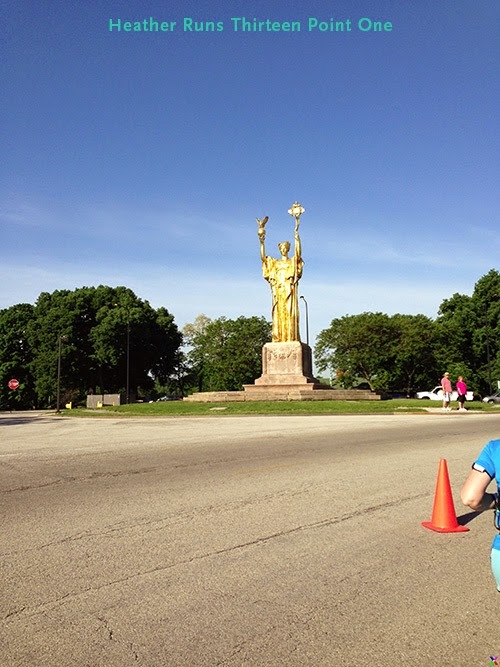 I felt the course was well marked, as well (cones, volunteers guiding runners, etc). There were also some bands on the course, and some bagpipers I knew, so that was a nice change and helped break the miles down. My only issue with the course is that there is so little shade, and my pale, Irish skin got fairly burnt. Unfortunately, sunscreen only lasts so long (I'm convinced it wears off before the race even starts), and I haven't quite figured out how to re-apply during the race without having to carry a large thing of sunscreen, or if I bring a small tube, how to clean my hands so that I don't wipe my eyes and wind up with sunscreen burning them. Any tips? I suppose I could add a wipe to my belt, but it's already pretty full. 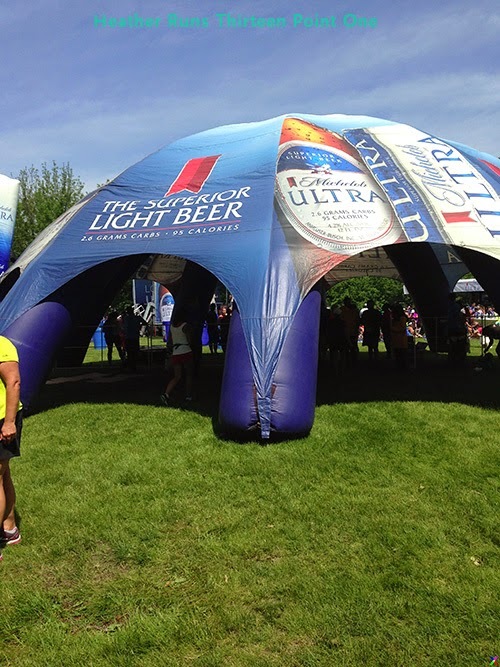 I also hate the idea of having to worry about one more thing during the race other than staying hydrated and finishing. It's quite the dilemma, though I suppose it's more important to just add more on halfway through. 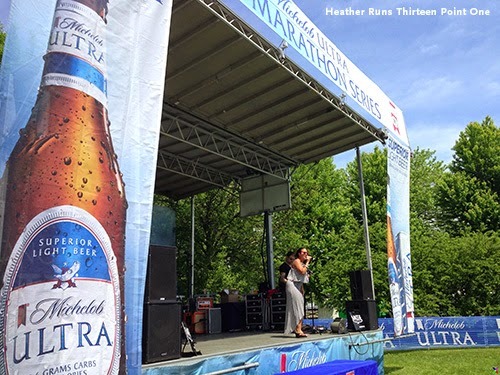 The post-race party area = beer and band inside. At the finish line they still had plenty of post-race treats for runners that were slower. I received water, Gatorade, fruit cups, and protein bars. There was also some deep dish pizza from Lou Malnati's that I devoured. Delicious. 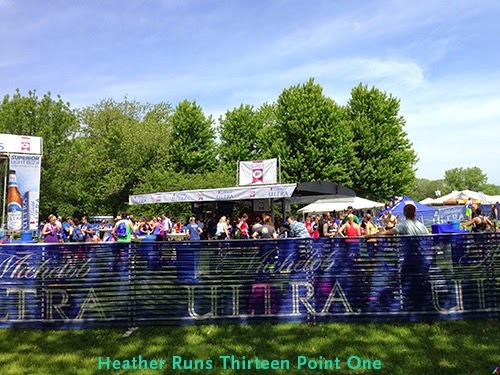 Post race beer was Michelob Ultra, obviously, which I am not a fan of. Mom and I went inside the party area in order to snag a table, eat our pizza, and enjoy the band. When entering, we received a drawstring backpack that had a water bottle and sunglasses inside. Score! The medal itself isn't anything too special. It's fairly heavy and is a bottle opener, but as far as design goes, it's not that special. Like I said earlier, we took a bus back to the museum and headed home. One of the worst parts is having to sit on the warm bus, all sweaty and smelly, waiting for it to fill up enough to head back. Poor timing on our part, getting on the bus so early haha. Back at the Museum of Science and Industry. 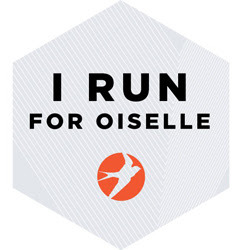 An added bonus: On each participant's bib was a QR code, which could be scanned in order to obtain your results (using your smartphone; it took you to your own personal results page). I thought this was a nice touch. What I didn't like about the race this year were the photos! I'm pretty sure they went with a different company this year, and the price for photos was outrageous! $20 to download (per photo!) and $10 for a 4x6. That is just bananas. Plus, the one photo I really liked with my mom and I after the race only came in a size 30x45.5 for $177. Come again? I mean, who spends that kind of money to purchase photos? I tend to go for the download option, or high-res versions on a disc, but I won't pay $20 per download. That's $100 to download 5 photos. Again... bananas. 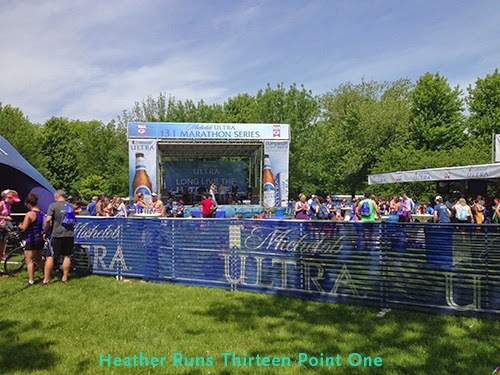 I mean, maybe other people don't care about photos, but I always check out my half marathon ones, and usually buy one or two (or all if there are a lot of good ones), so this was disappointing to me. You can read my review on BibRave.com here. 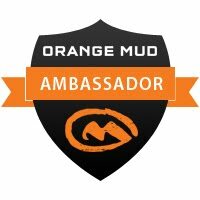 Make sure to review all of your races on there, too! Sounds like you had a great time with your mom! I agree that those prices for photos are insane. 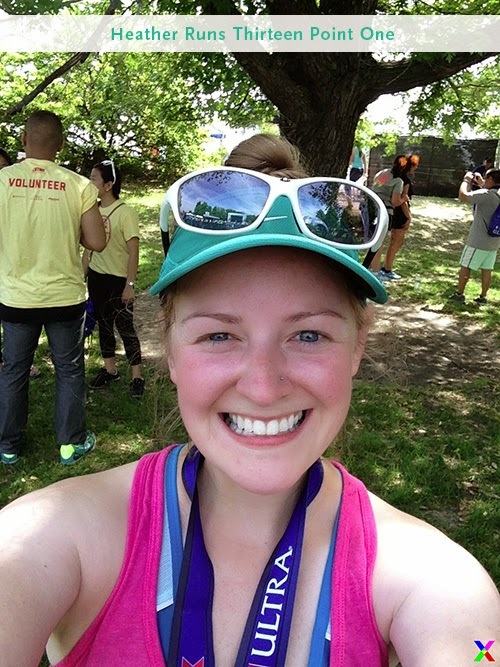 Oh and if you figure out how to reapply sunscreen during a race, let me know! I'm pale and burn easily as well!